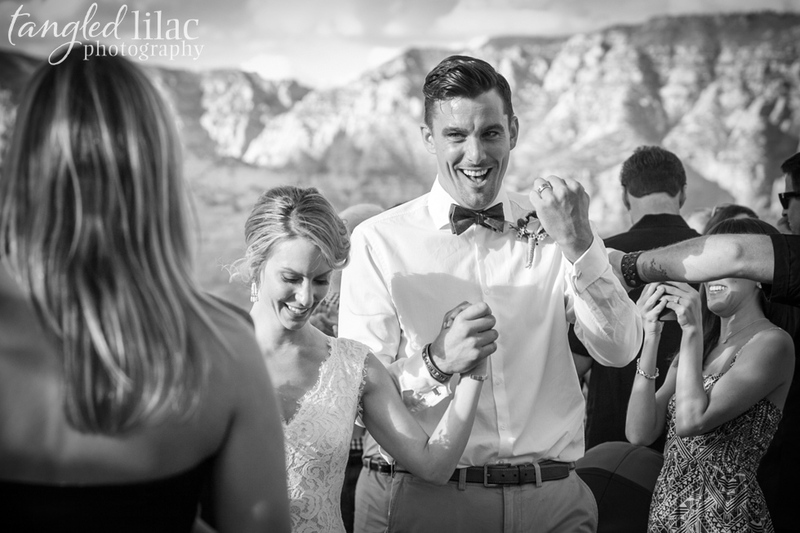 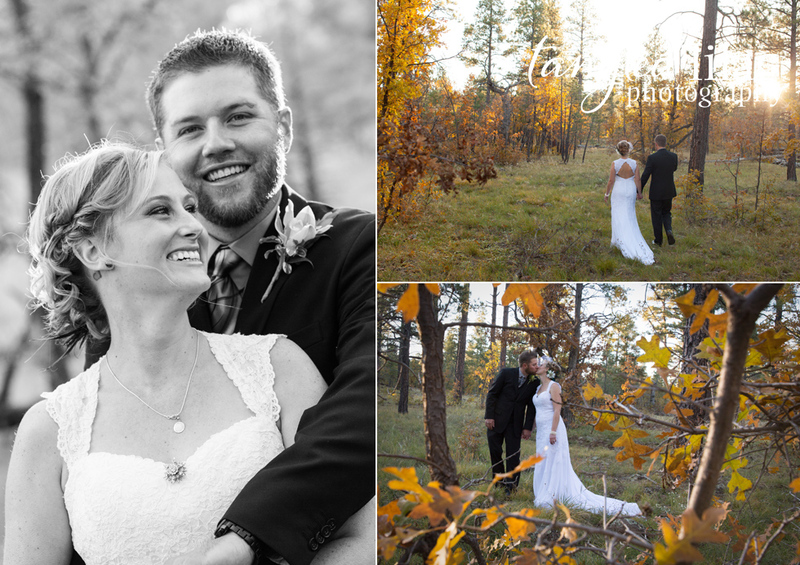 Katelyn and Adam were married a perfect October day at the Mormon Lake Lodge. 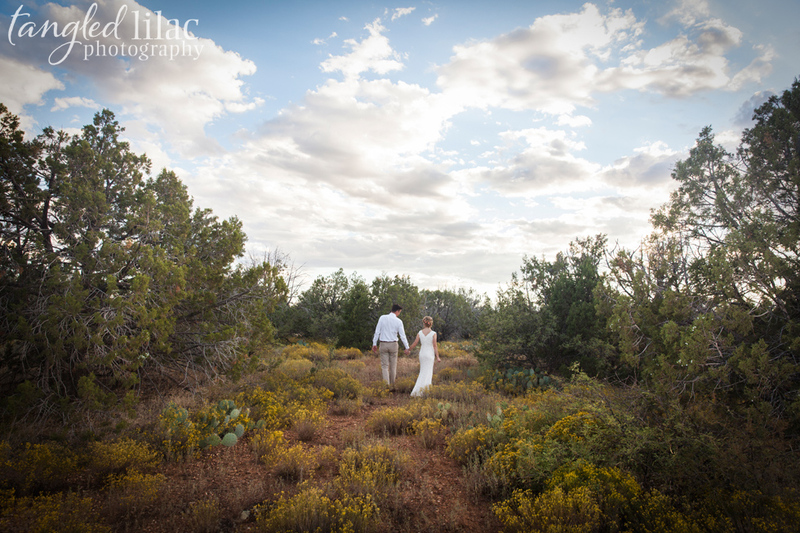 The leaves of the scrub oaks were turning a perfect golden hue and the skies were blue. 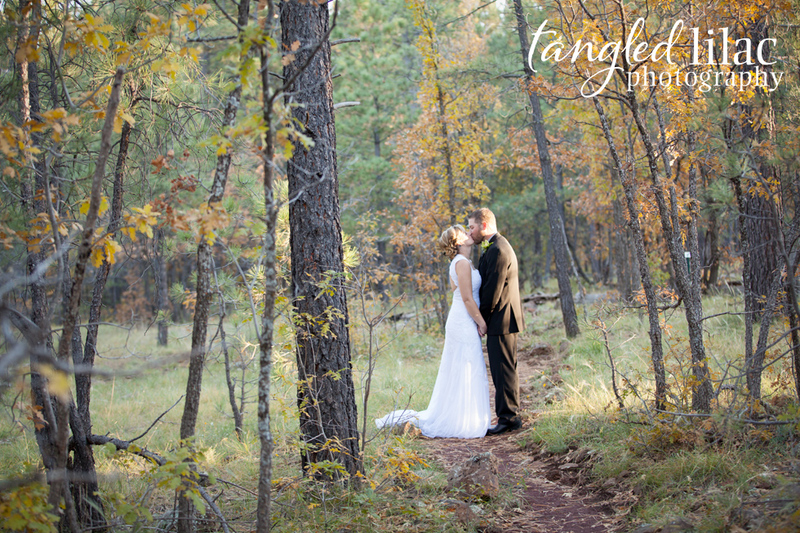 Katelyn was a gorgeous bride. 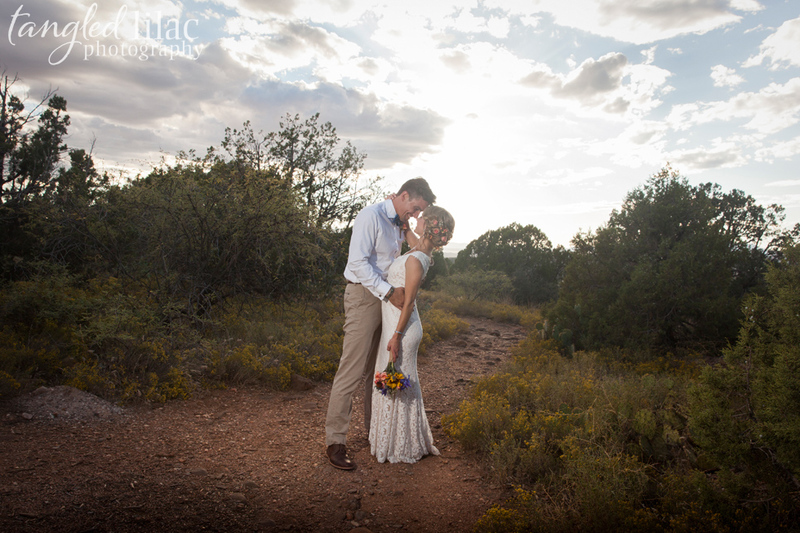 She choose a beautiful lace gown which suited her vintage and classic look. 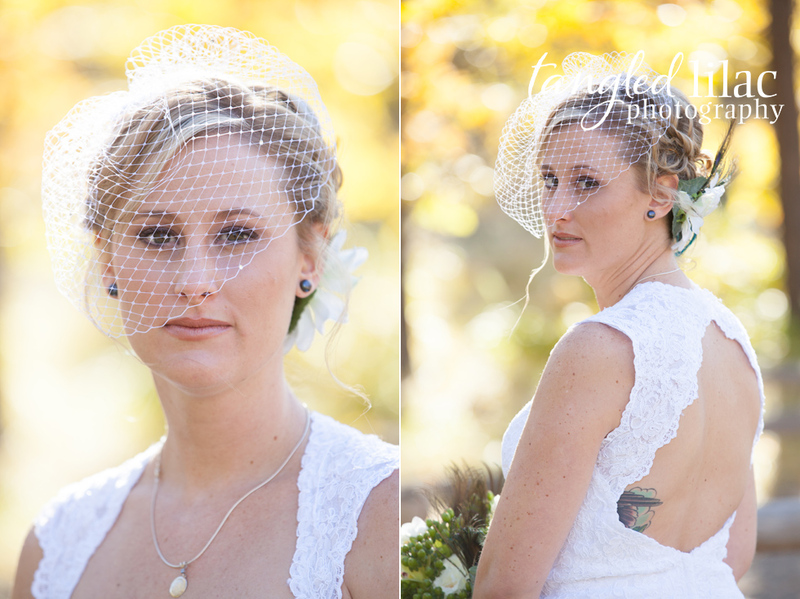 We loved the birdcage veil and peacock feather embellishments in her bouquet. 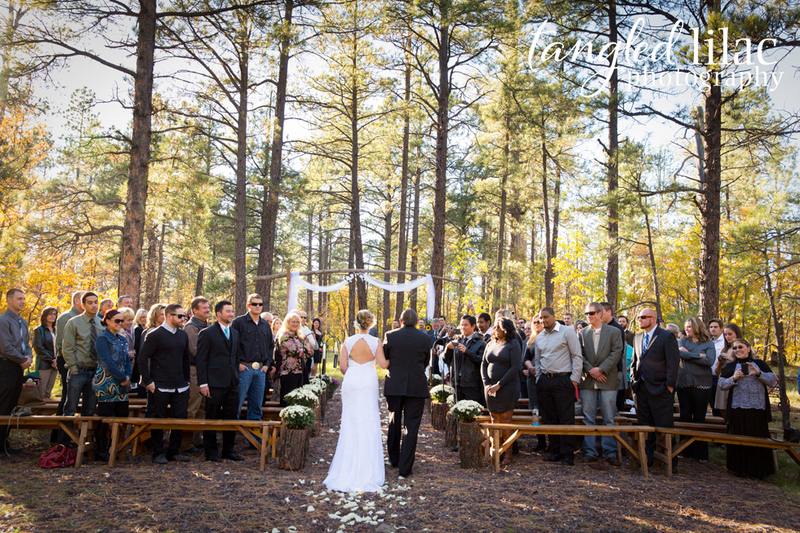 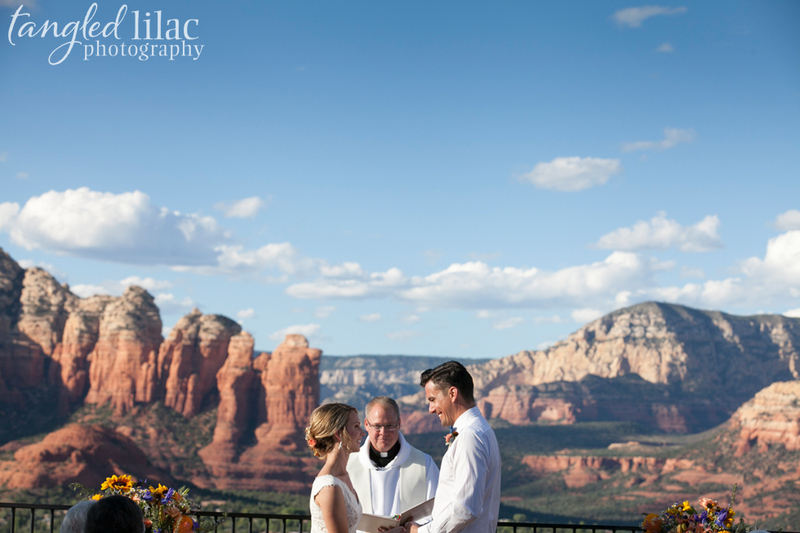 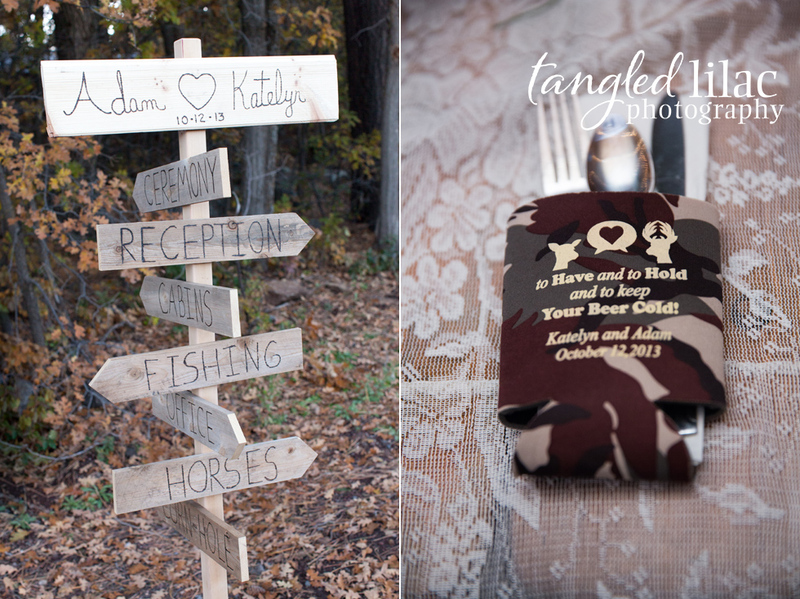 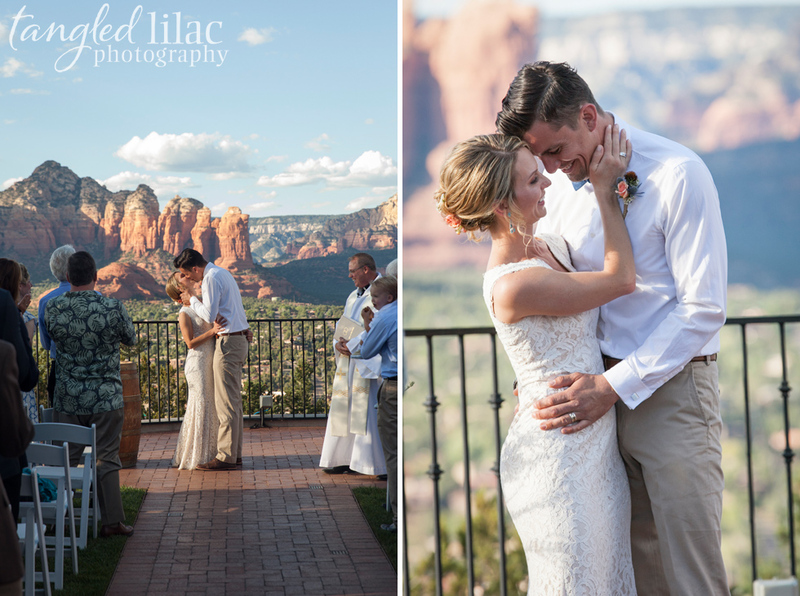 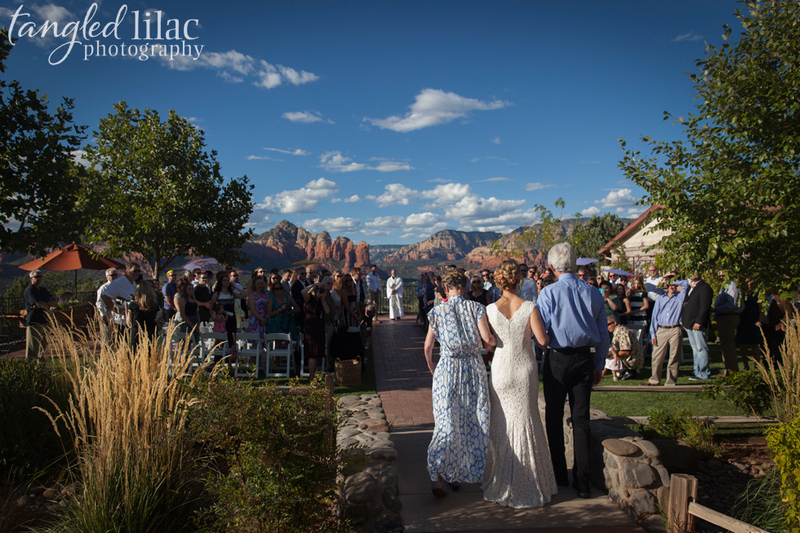 Katelyn and Adam love the outdoors so this venue was perfect for their ceremony. 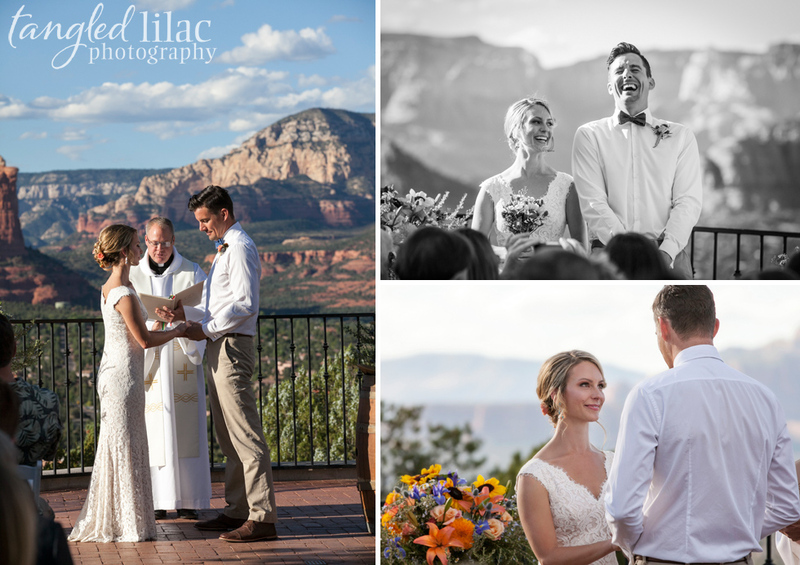 The couple choose Katelyn’s brother to officiate their wedding, and the ceremony was heartfelt with many references to Katelyn’s loving childhood and the lessons of love created from a supportive family. 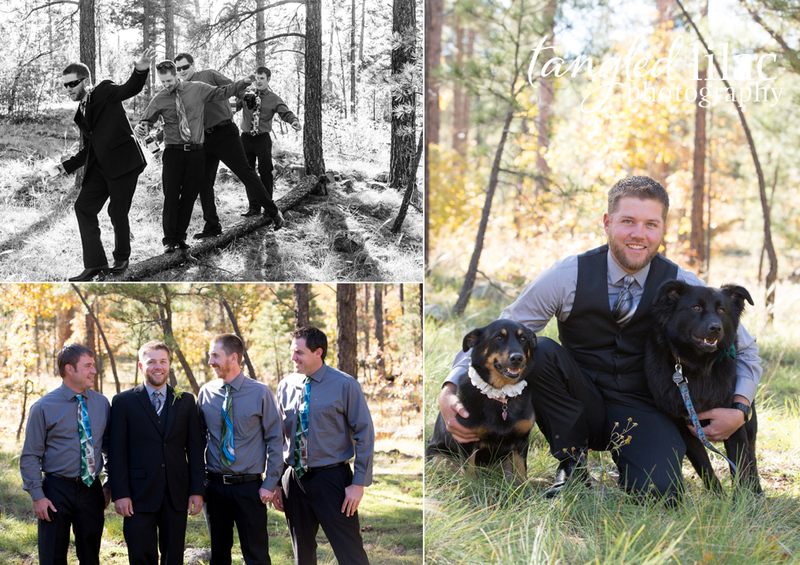 We loved that the couple brought their rescued dogs to be there with them, and adored how each guest signed a pod to be forever kept in the couples new home in Florida as a reminder of the day. 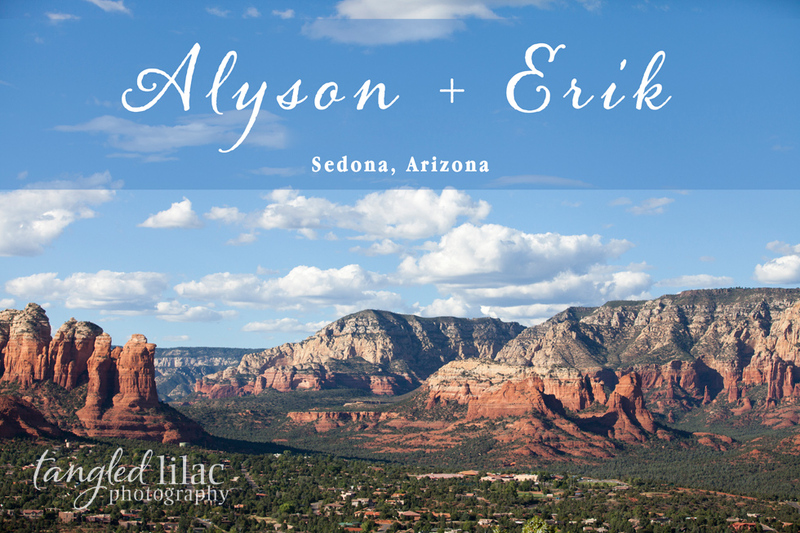 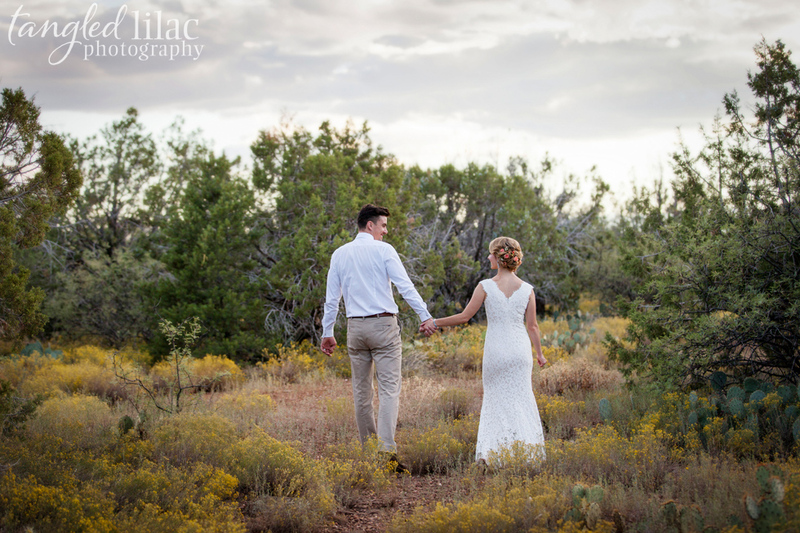 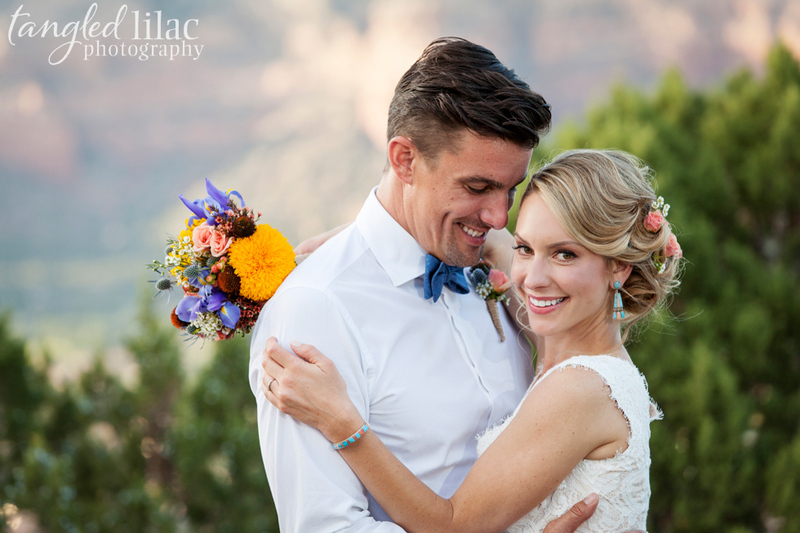 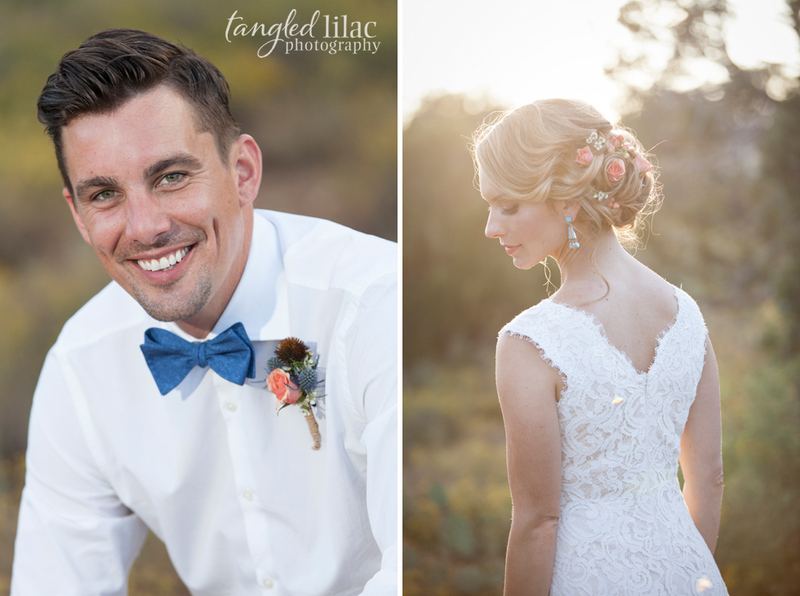 We spent time with the couple after the ceremony, walking on the Arizona Trail and talked about their family and friends, their bond and their love. 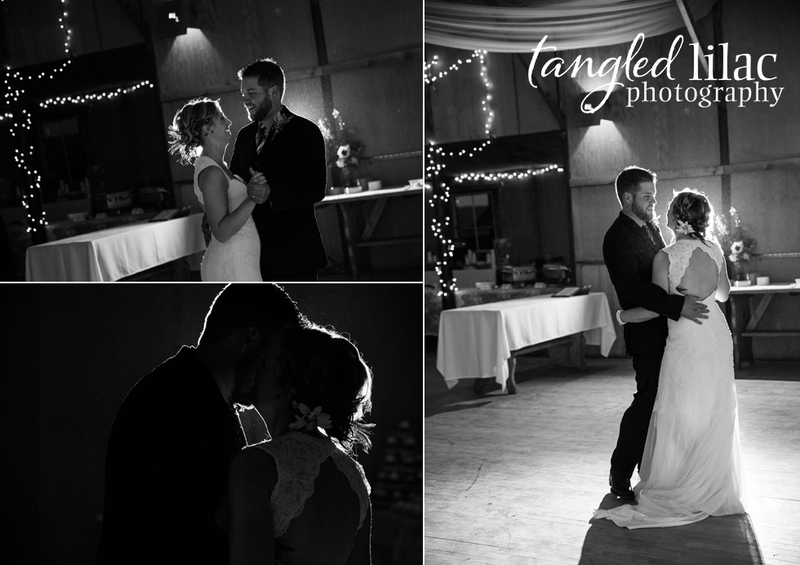 I think it’s my favorite time of the wedding day; just giving a couple a few moments to reflect on their love always brings out the best photos.